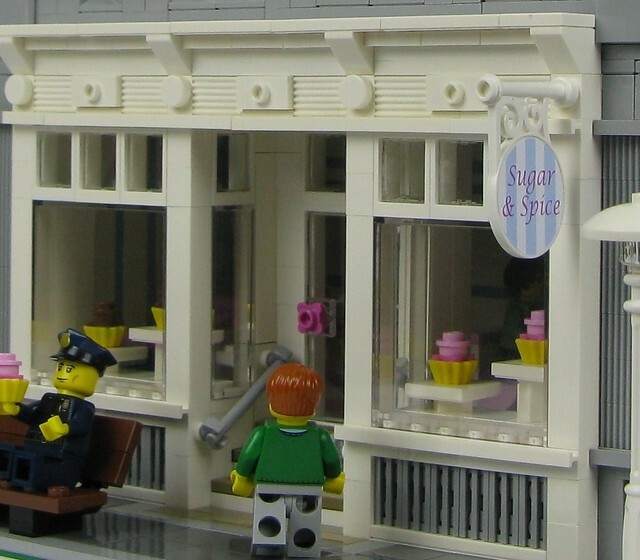 The Sugar & Spice is another New York-inspired building, this one named after the cupcake shop on the ground floor. 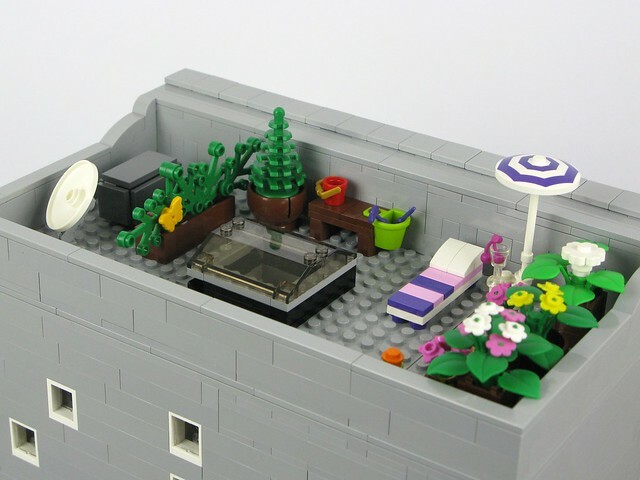 There’s an apartment on the upper floors, complete with a rooftop garden. 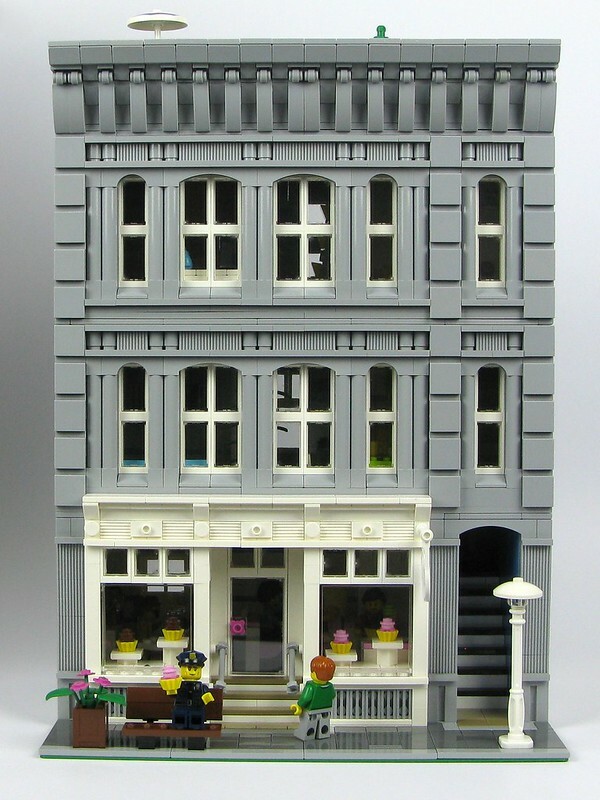 I made a custom sticker for the shop sign, which reflects the colours used in the interior of the cupcake shop. I’m not the first to do floor tiling at this orientation, but I can’t remember at this stage who gave me the inspiration for this. I’ll update this page when I come across it! The rainbow theme continues on the second floor with the orange bedroom and yellow bathroom. The colours for this interior were inspired by my 6.y.o. daughter, who is the artist behind the “artwork” hanging above the bed. 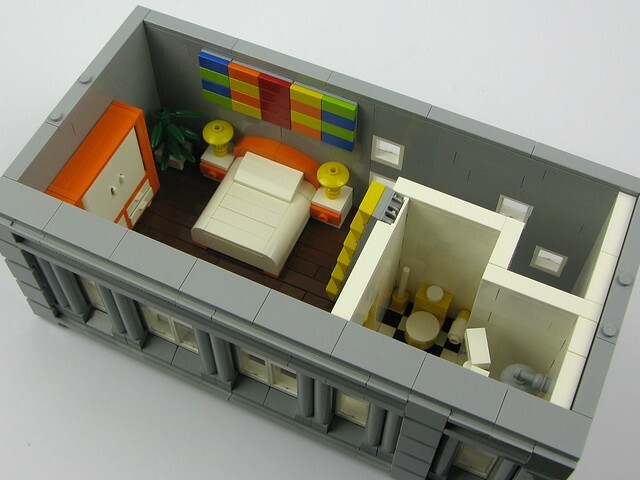 She made this some time ago and it has been sitting on my desk since with a promise that I would incorporate it into one of my modular buildings! The yellow stairs / ladder lead to the rooftop, where the owner of the apartment has created a little inner city oasis. The Sugar and Spice was started at the same time as the Black Velvet, as I had one idea for the shop windows, but two different visions for where I wanted the building as a whole to go – one being the darker Black Velvet, the other being the more light and airy Sugar & Spice. 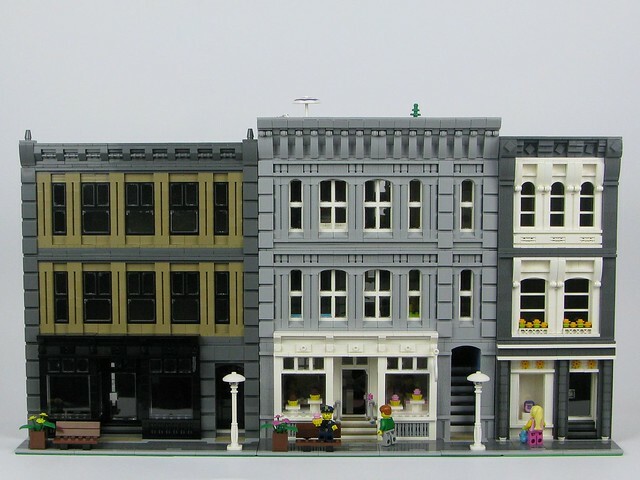 You can play spot the difference on the ground floor facade in the image below, which shows the Sugar & Spice between the Black Velvet (left) and the Coveted Clutch (right), which was my first New York-style building. Great looking builds. I can tell it took a lot of planning to create them. Thanks Michelle! I think your situation is one that quite a few of us are familiar with. 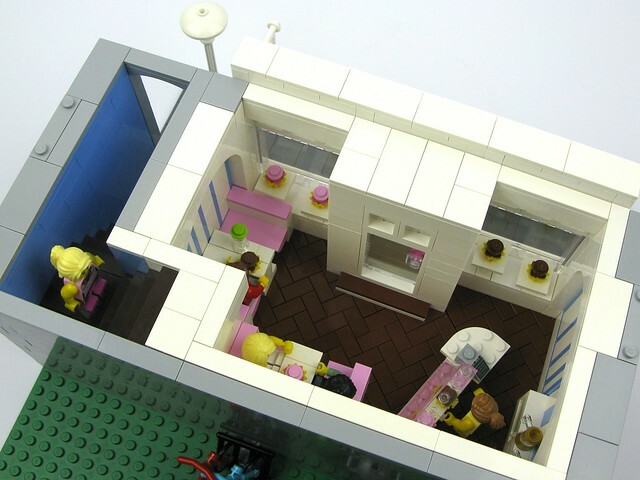 Wow I love the interior it reminds me of an actual sweetshops in Deer Park, Ohio, I have two of the modular buildings; however I mainly do trains. I do like looking for ideas for my layout. Thanks Jordan! I think trains and modulars are definitely complementary. This is amazing! I’m in the young kids inspiring a Lego creation rebirth. And this is quite inspirational. 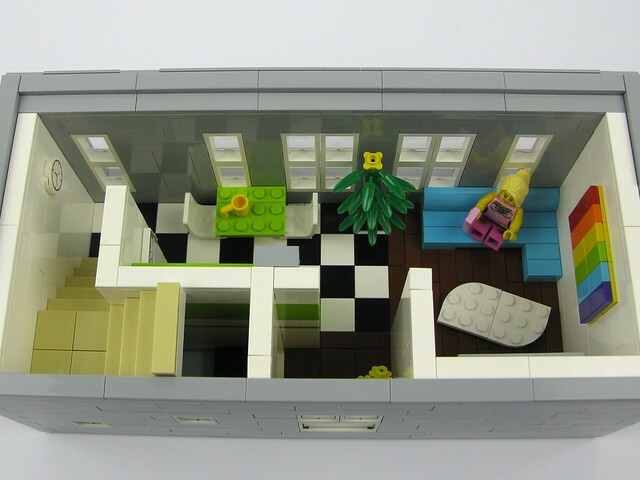 hi Kristel, is it possible to buy instructions for this or your other modular buildings? thanks!! Hi Sabine. 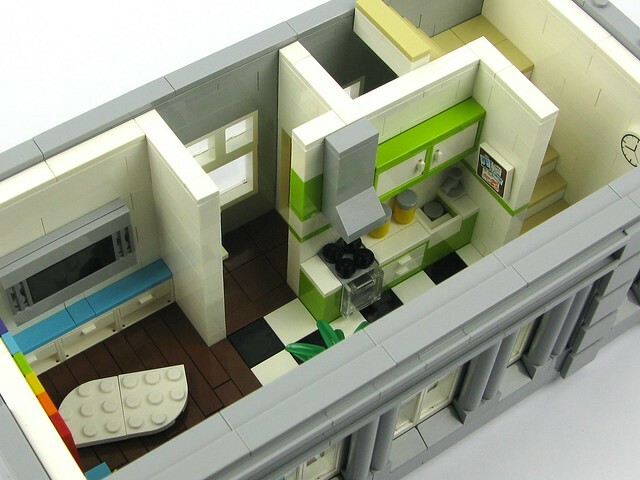 I’m no longer selling instructions for any modular buildings. 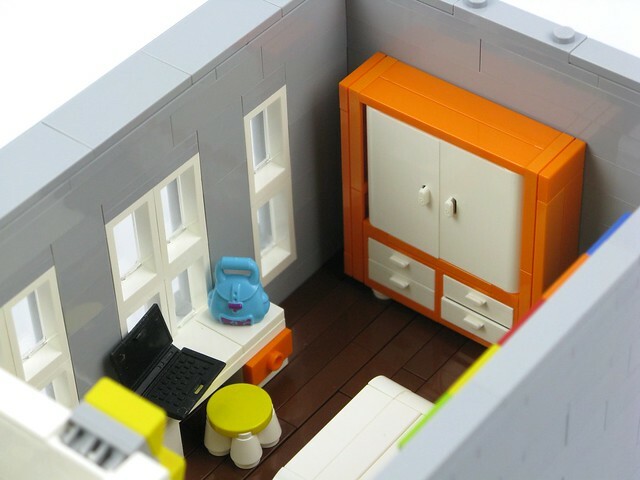 Instructions are now available through Rebrickable. One of the best buildings I have ever seen! I love that it’s New York inspired, because I love New York. Very cool. Just curious, how do you print out custom stickers? I just print them out on glossy photo sticker paper, using my home inkjet printer. The brand of photo paper I use is Ausinc Stationery, which is stocked at OfficeWorks (in Australia at least! ).